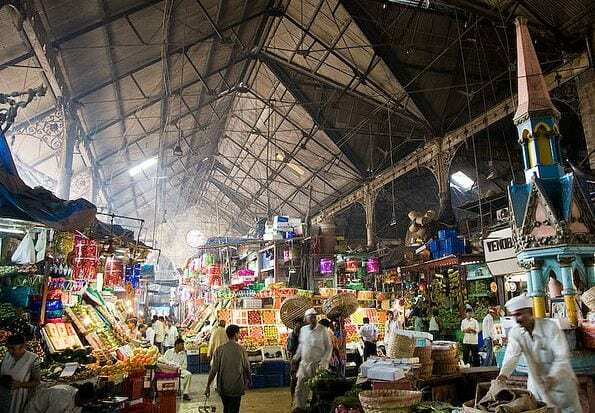 Home » architecture » Art » Blog » Comments » Countries » History » Popular Articles » Travel » Mumbai Memoir 50- ‘Mumbai’s first ever mall- Crawford Market’! Every city has its unique culture. The people, the places and the history of the town defines its character. In recent years, due to the wave of globalization, the mall culture hit Mumbai too. Most of suburban North & Central Mumbai have huge & glittery malls as landmarks. These well-lit and swanky malls lure Mumbai’kars on weekends. These malls are just not a market place for shopping retail goods but also are busy entertainment hubs and food joints. But surprisingly, one may notice that South Mumbai doesn’t have a mall culture. The primary reason being space crunch. Besides this, buildings are found everywhere in clusters which is why a huge complex for a mall is not practically possible. But South Mumbai is known for an area called Crawford Market. It is a market place spread beyond the main stone building of the heritage structure. The elegant looking heritage structure was built in 1869 by British architect William Emerson and was donated to the city by a Parsee Philanthropist, Cowasji Jehangir. 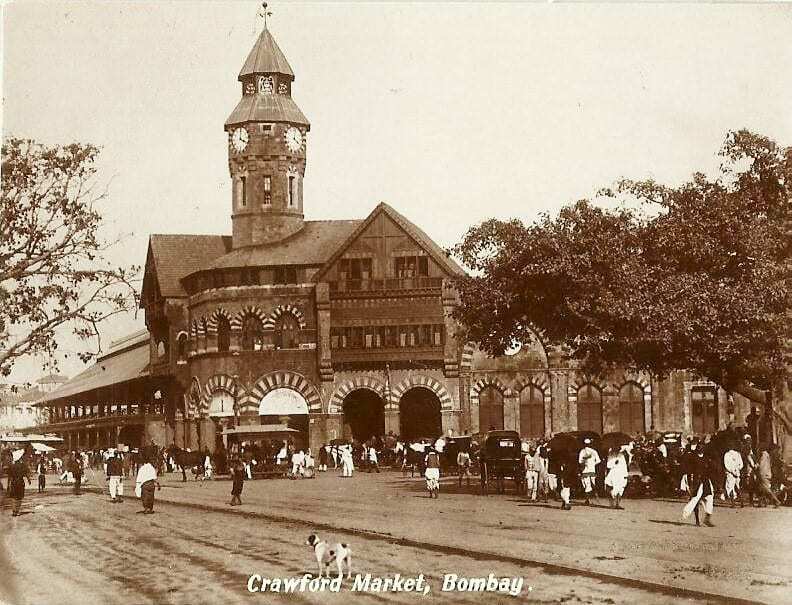 The market was named after the very first Municipal Commissioner of the city of Bombay (now Mumbai), Arthur Crawford. Norman & Flemish architectural styles are blended together in creating the edifice of the market structure. The watch tower rising up from the structure is the most unique feature of the building that ornaments the skyline of the precincts. 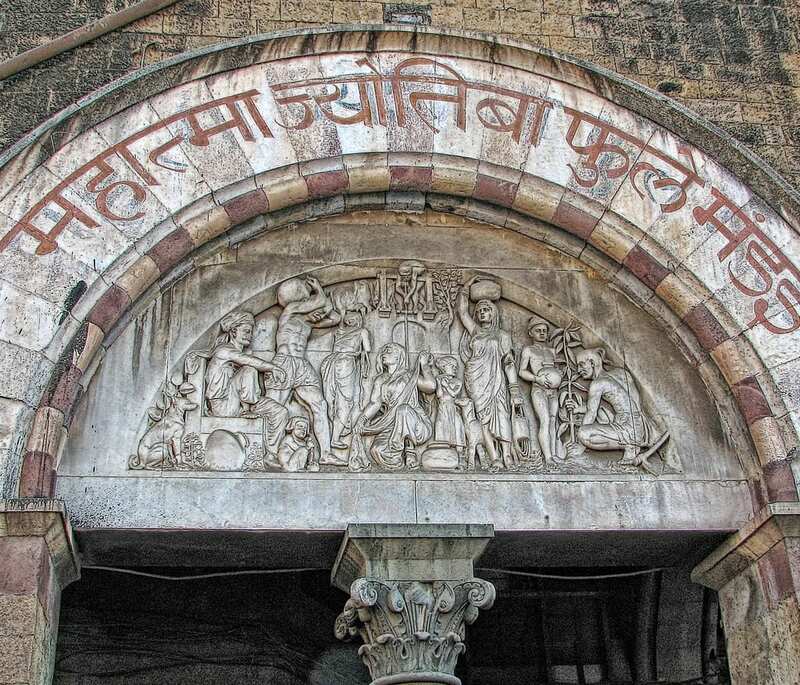 The friezes at the entrance gate of the market depicts Indian farmers with their crops in hand. There is a stone fountain as one enters the market. Both the friezes and the fountain have been designed by Lockwood Kipling, who was the father of the ‘Jungle Book’ novelist, Rudyard Kipling. Kurla stone and Bassein redstone has been used to create the magnificent 59,363 sq ft area of the building. The most amazing fact of this heritage structure is that in 1882, the building was the very first in India to be lit up by electricity! Post Indian Independence, the market was renamed as ‘Mahatma Jyotiba Phule Market’ named after an Indian social reformer. The Sunlight illuminating the internal structure of Crawford Market. Even today, the grand feel of the market, which now is being renovated, still exists. 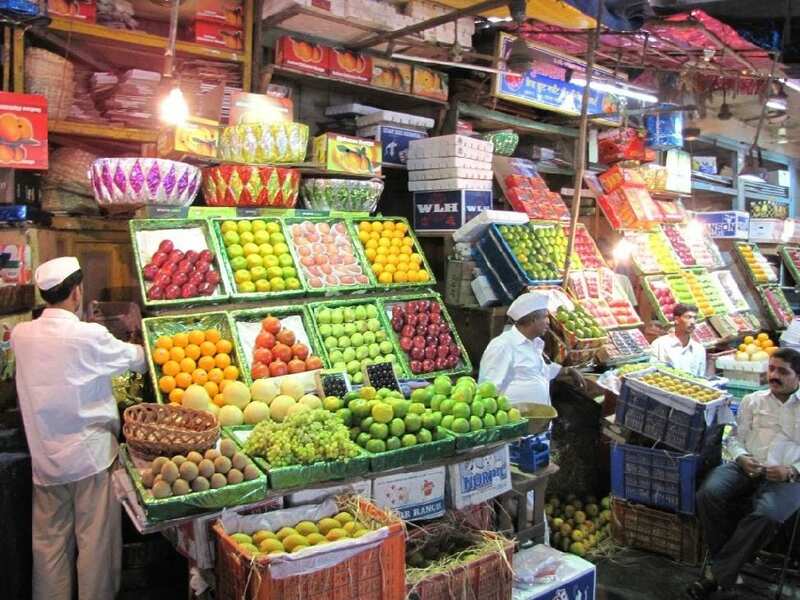 The fruits, vegetables, dry fruits, foreign goods, meat and poultry sections starts buzzing from the early hours of morn. The area surrounding the market structure too is a shopping zone. Its like an open air mall, and its tempting to impulsively shop novelties that catches one’s eye. Shops selling, luggage goods, fashion accessories, readymade garments, gift and household articles are kept for sales spread randomly in the vicinity. 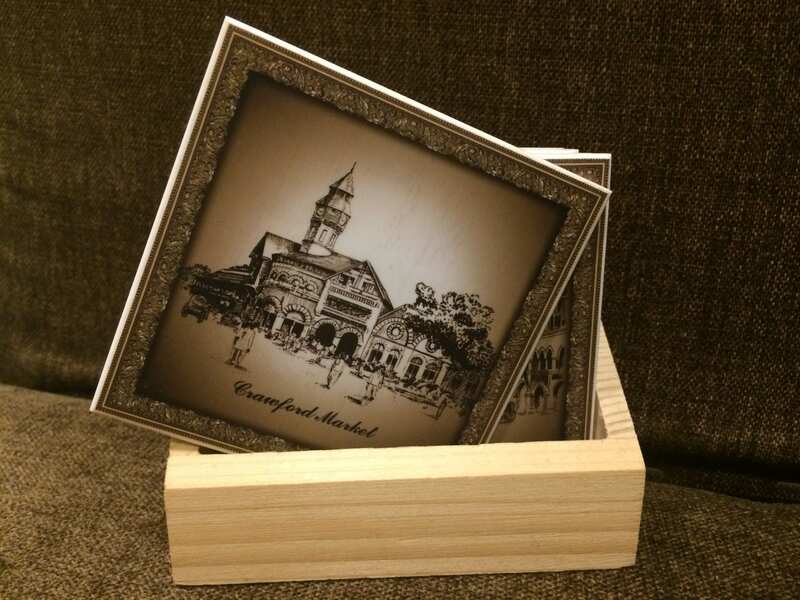 The heritage structure of Crawford Market on tea coasters. Bang opposite to the Crawford Market building is the Mumbai Police headquarters. It seems that ‘Big Daddy’ keeps a vigilant watch over the area that is so very crowded on weekends and on festive occasions. Traffic jams and noise pollution is at its peak when the market is all buzzing and in demand. Like it is always the case, after a shopping spree, the tummy calls for food. 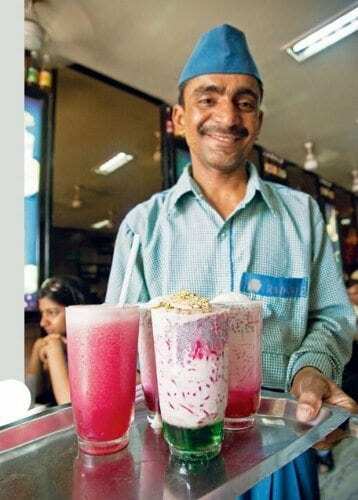 Located on the opposite right side footpath of the market is ‘Badshah Cold Drink House’. 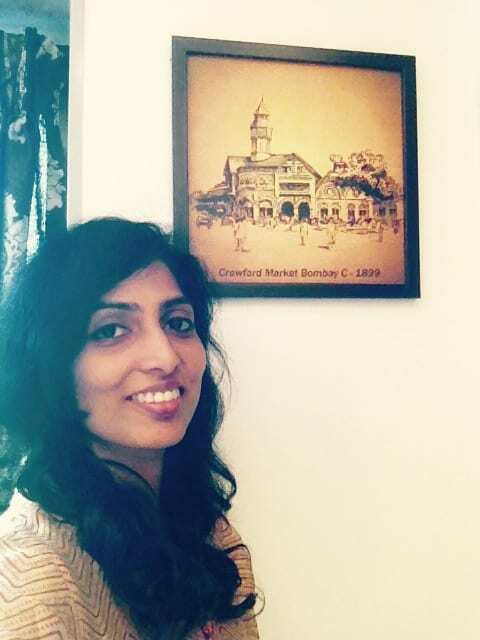 A wooden wall frame with an old sketch of Crawford Market decorating my home. Crawford Market during the early 20th century. 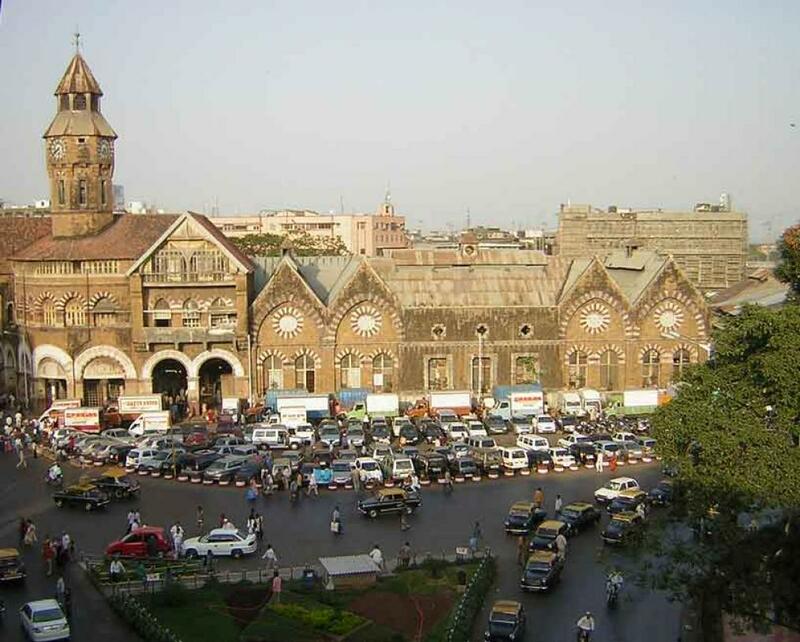 Having been born and brought up in South Mumbai, Crawford Market is a stone throw away from where I reside. Come sunshine or rain, its an area which literally electrifies South Mumbai and can be aptly referred to be Mumbai’s first ever mall built by the British. It may not have the glamour and glitter of the other suburban malls but it certainly stands out from the rest due to its heritage value and of possessing a unique raw charm that it provides for the act of ‘down to earth’ shopping! Photo credit: Shraddha Sankulkar & Free internet download. 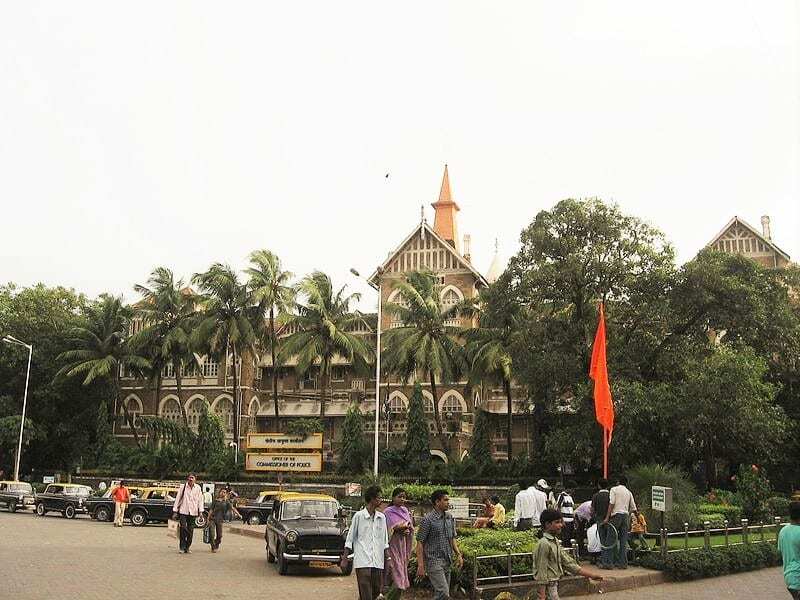 Mumbai Police Headquarters facing Crawford Market.